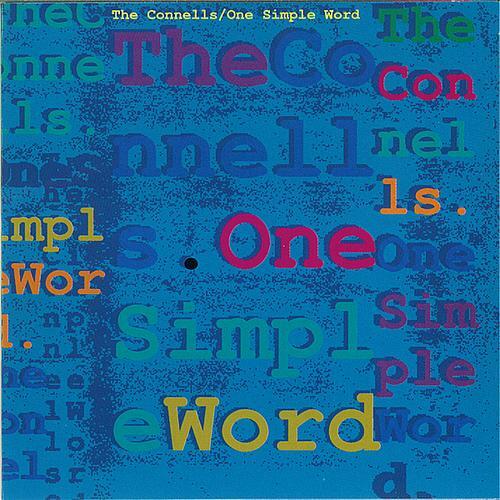 One Simple Word is the fourth album by the American pop/rock band The Connells, released in 1990. Recorded in Wales with U.K. producer Hugh Jones. Jones had previously produced various British bands that the band had admired. Despite the high quality of the songs and improved playing by the band, notably on the Connell-MacMillan collaboration "Stone Cold Yesterday" and Connell's own "Get a Gun" which were both college radio hits with videos, the band struggled to reach a higher level of success, although "Stone Cold Yesterday" notched the band a #3 hit on the Modern Rock Tracks chart, where "Get a Gun" also reached #24. This album saw the band stretch their sound and playing further, as on Connell's debut as a lead vocalist, the plaintive ballad "Waiting My Turn", which featured Kate St. John on cor anglais, but also saw the reworking of two songs that dated back to the Darker Days era, "Too Gone" and "Take a Bow." Some critics have contended that the album/tour/album cycle was by this point outstripping Connell's ability to compose new material. This is why the increasing contribution of other songwriters in the band becomes important as lead vocalist, Doug MacMillan also contributed a song, "Another Souvenir," that he had written on his own.